Wheeling, WV WW/Press/June 10, 2016 –Teresa C. Toriseva, Founder and CEO of Toriseva Law, was selected for inclusion in the forthcoming Top Attorneys of North America 2016 edition of The Who’s Who Directories. 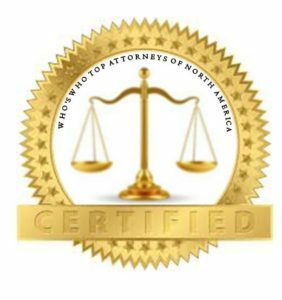 The accomplishments attained by Ms. Teresa Toriseva, in the field of Legal Services, warrants inclusion into the Top Attorneys of North America. Attorney Toriseva had a vision of making the community a better and more comfortable place by fighting relentlessly for individuals and small businesses, as well as seeking innovative solutions that ultimately results in balancing the “scales of justice.” She is known to be the “Top Litigator” in the legal arena as she spearheads National Mass Torts and is admitted to practice in West Virginia and Pennsylvania. Her powerful and compelling voice is recognized in the court room as she believes in vigorously defending her clients in fighting for justice. Ms. Toriseva has also brought her skills, experience, and tale by hosting a lively talk show, Radio WKKX AM 1600 called “Tee Time.” Topics covered are a wide variety of current national eve and all aspects of politics. Toriseva Law focuses primarily on litigation in personal injury, bad drugs and medical devices, protection of land owners, mineral rights, and domestic and family law. The firm has received high accolades for their medical device litigation experience, whereas Ms. Toriseva has impressively been appointed multiple times by the judges to leadership roles in thousands of cases in state and federal courts across the nation. Teresa received her B.S. from Wheeling Jesuit University and her J.D. from West Virginia University College of Law, where she achieved both Order of the Coif and Order of the Barrister. She is a member of the Ohio County Bar Association, the American Association for Justice, and served as President of the West Virginia Association for Justice. 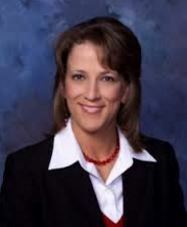 Be the first to comment on "Top Attorney – Teresa C. Toriseva"